as of today - i am the mother of a boy in kindergarden! 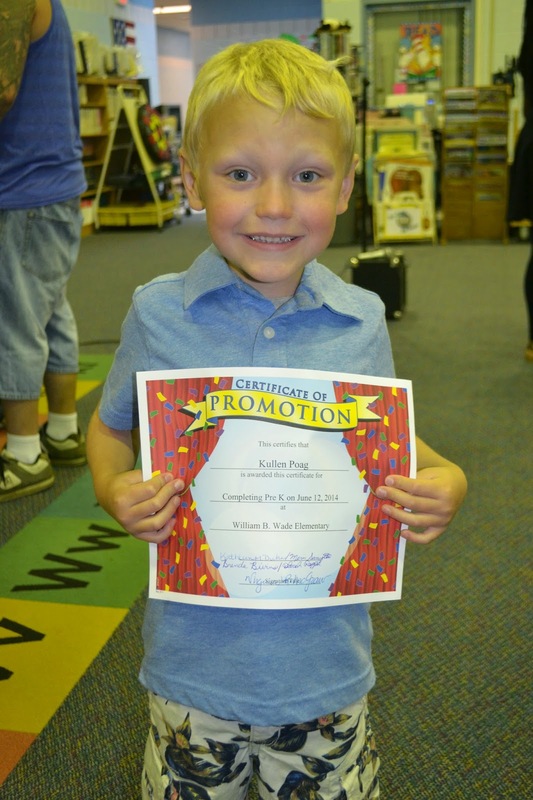 technically, he still has 2 days of school left, but he officially promoted today. kullen and his amazing teacher: mrs. duke! it's going to be extremely hard to top her in the upcoming years! afterwards, everyone got to enjoy cake (which featured the kids class picture) and punch! it's so hard to believe my boy is going to be in kindergarten next school year. he's going to be gone ALL day. wahhhhhhhh!